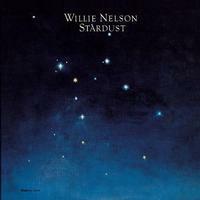 Includes his classic versions of "Stardust", "Georgia On My Mind" and others; new personal reflection from Mickey Raphael with Willie Nelson; fond reminiscence from producer Booker T. Jones. Willie Nelson was better known as a highly successful composer of some of Nashville's most deeply personal songs ("Hello, Walls," "Crazy," "Night Life") and as one of the Texas-based "outlaws" of country music when, in 1978, he undertook what seemed like a most unlikely project. Nelson (b. 1933), with his superlative band in tow, elected to record an entire album of some of the Tin Pan Alley classics with which he'd grown up. The results were phenomenal -- Stardust, produced by Booker T. Jones (of Booker T. and the MGs fame) was an instant smash, eventually going quadruple-platinum. While not a huge Willie Nelson fan, I was fond of several of the tracks on this album. Being only my second DSD download, I had high expectations. I'm very happy to report, all my expectations were exceeded! Tracks 1 & 2 ("Stardust" and "Georgia On My Mind") have become my top reference tracks for really showing off the DSD format and my high-res equipment.